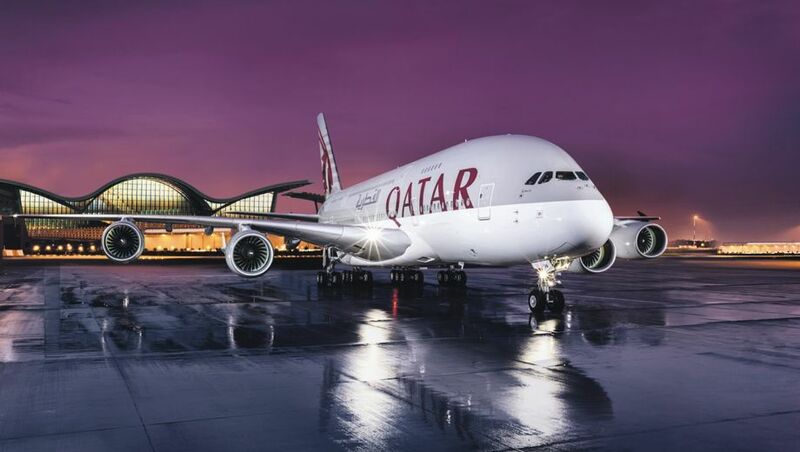 Qatar Airways will fly its flagship Airbus A380 aircraft to Perth from 1 May, 2018, in what the Gulf carrier and Qantas partner describes as a further sign of its commitment to the Australian market. ... and for business class passengers, the opportunity to relax in what we rate as the world's best inflight lounge. 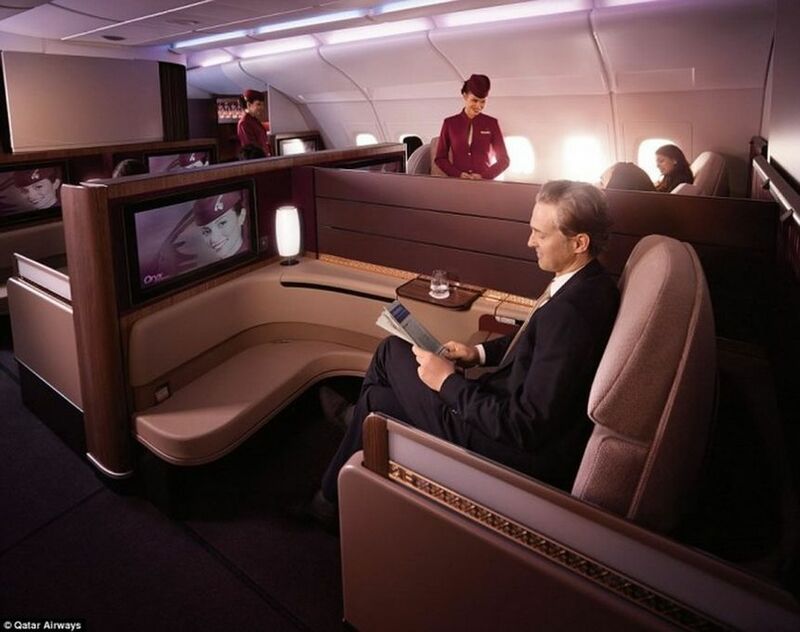 Qatar Airways' superjumbo also boasts spacious and well-appointed business class seats. 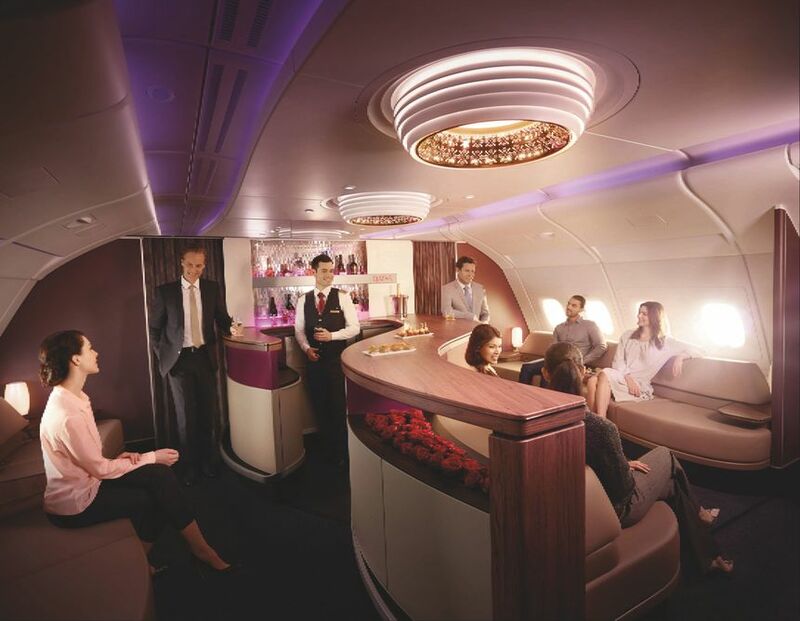 The Perth-Doha flights also dovetail into Qatar's Airbus A380 services to London and Paris, although passengers may want to look for one of the newer Boeing 777 jets boasting the airline's impressive Qsuite business class. Qatar also plans to begin flights to Canberra via Sydney from 12 February, 2018. Good news good to get more F into Perth. Finally can use both 380 gates simultaneously for 380’s. 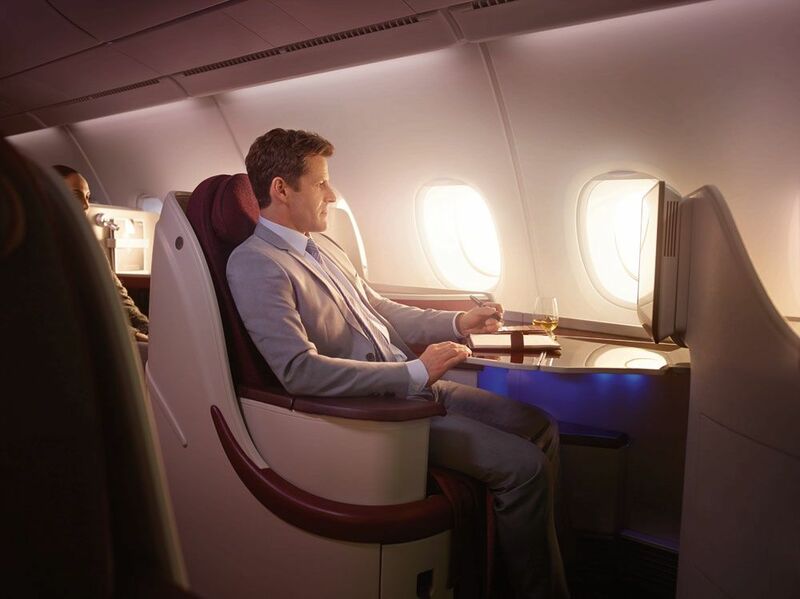 "Qatar Airways' superjumbo has the same spacious and well-appointed business class seats as the Boeing 777 it replaces"
Thanks for the pick-up, fixed! This excites me to no end. Booked on this baby for September, bring on that "best in the world" bar!! This is so exciting. Emirates flying their A380’s to Perth is nice, but they have 101 of them, so they can use them practically everywhere. Qatar with only 8 makes it mean more, especially to people of Perth. Doubt EY will bring 388 to PER if they cut it from MEL. Where is Qatar pulling the A380 from to service this route? Have they reduced capacity into America and now freed up an A380? I've heard that they're pulling it for Guangzhou. Wowee! How about this good news for Perth travelers for the a380 from Perth to Doha? This is going to be huge! Qatar are the epitome of what a premium carrier should be...plush, classy and generous. You REALLY get your money's worth with Qatar no matter which class of travel. Qantas boring bland and Emirates semi gaudy (but better than Qantas generally) should take note. Everyone wishes they flew to Brisbane! Hopefully they can get more frequencies soon. I known Akbar was in discussions to start at OOL several years ago, and they’re allowed to fly there, but the business case mustn’t have added up. Yup, they stressed the Qatar-Australia flying rights agreement with starting flights to Sydney (PER, MEL previously), obvious capacity increase on SYD, MEL, and now PER with 388, plus the second daily flight to CBR via SYD, and with 355 to ADL, so they've left nothing. I heard word an Eastern carrier was looking at flights to CNS in the future & I know that Qatar have talked with BNE. I’d expect (purely my own prediction) you’d see a CNS or OOL tag flight to BNE. Maybe even Alice Springs or Darwin. I read on another Qatar thread in AusBT that the agreement does not include secondary cities, hence the CBR announcement. Qatar have had several false starts with new equipment for PER so I won't be holding my breath. On the other hand, all my flying these days is leisure with SWMBO and we love the spaciousness and side-by-side seating of the current 777 product. Recently flew DOH - VIE on a 787 with the same business class seat as the A380 and were a little bit underwhelmed with the hard product. So personally I'd be happy to stick with the 777. I was excited until I read your comment but I think you may be right. The 787 and A350 were supposed to come to Perth and I'm pretty sure theres still articles on here referencing that. With J fares a lot cheaper than QF and others, great lounges in Doha and London and an inflight eat-anytime J menu, Qatar is already a great choice out of PER, and this only makes it better. Wow!! Those rumours came around very quickly. Perhaps this is to put-off the expected upgauge to 77W from Etihad. The ban maybe was good after all, award availability has shot-up, they've ramped up their inflight services, and redeployed and started focusing even more on key markets like US and Oz with A350, A380, 787, while also now sending them to Geneva, Male, Hyderabad, MIA, DFW. And they've had some great sale fares recently. I'm flying from Stockholm to Melbourne (return) in Business Class for $3,500AUD. I also wonder how the winter flights will size up considering that many flights are operated by the 777-200LR instead of the 77W. This will be a winner for F and J passengers. for a couple of days. The Museum of Islamic Art is not only a stunning building, the collection is world class. I love it. I can't find any mention or way to book First Class Travel on Qatar's web site. There is no class selection apart from " premium " and that only lists up to Business . Is there something I am missing or is there something wrong with their website? Probably isn't bookable yet. Announcements are usually made prior to them actually becoming available to book. They have already reissued itineraries, we received our updated one on Friday. Fantastic, have only flown them once en-route Per-LHR via Doha. The Perth<>Doha legs on the 777 was almost 100% capacity. Great news indeed. Wonder if this is in any way a response to QF's direct London flight? Either way the QR business class product is hard to beat. I was looking forward to the new Q Suite on a 777, but I'll settle for an A380! Does PER have the infrastructure in place to handle 2 A380’s at he same time? And will QR have their own lounge for premium passengers, instead of using the ver average QF loung? Comment on "Qatar Airways' Airbus A380 to fly Perth-Doha from May 2018"